“You find no man, at all intellectual, who is willing to leave London. No, Sir, when a man is tired of London, he is tired of life; for there is in London all that life can afford.” ~ Samuel Johnson. London is indeed one of those cities that has an endless amount of attractions, world-class museums, shows, and potential things to do. With so many world-class museums, restaurants and stylish co-working spaces to choose from, London abounds with ways to balance work and play. If you’re about to take a business trip to the city, planning ahead will help you make the most of your time. From a thriving theatre scene at West End to the bustling nightlife at Shaftsbury Avenue, from architectural and historical glories like Tower of London, Westminster Abbey, Buckingham Palace and Big Ben, to decadent Soho and hipster Shoreditch, from high-end Harrods to cheap and cheerful Camden market, from incredible array of award-winning restaurants and critically acclaimed chefs to food stalls dishing up grub of sky-high standards in dinky disposable containers -these are some of the best places in London which have something for just about everyone. London has five main airports: Heathrow, Gatwick, Stansted, Luton, and London City. 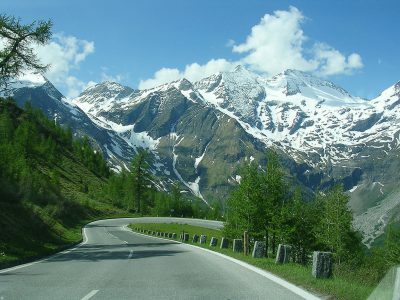 You can take a car rental in London at all the popular airport locations along with multiple prime hire locations across the UK capital – Battersea, Brent Cross, Charing Cross Train Station, London Euston Train Station, London Liverpool Street Train Station, London Paddington Train Station, London Victoria Coach and Train Station, London Waterloo Train Station, Westfield London – Shepherd Bush and more. 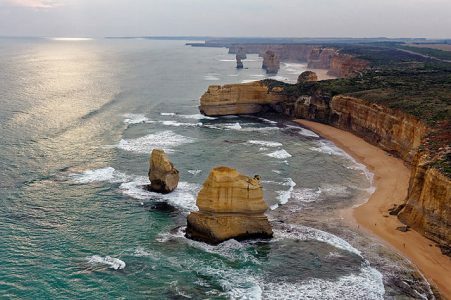 Best time to travel: It’s always time to visit London. 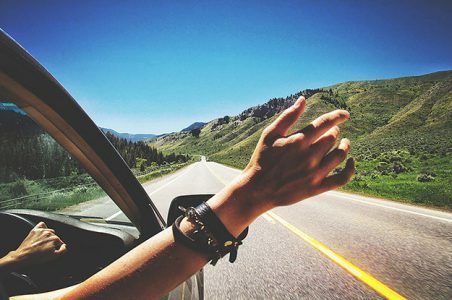 Summer has the best weather, although you still have to expect some clouds and showers. Winter is generally drab outside, but the theaters are going full swing–and then there’s that Dicken’s Christmas we all want to have–without the ghosts, not to mention the free New Year’s eve Fireworks display. 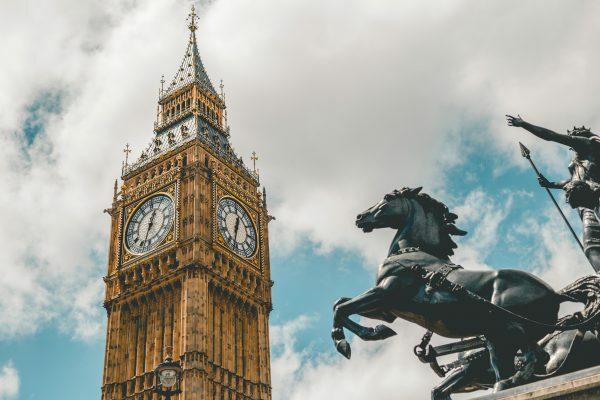 If you have some spare time in your schedule to get a fix of culture, begin your London adventure with a piece of history, while enjoying the stunning views of the River Thames and the London Skyline at the same time. Discover what life was like on board Cutty Sark, the world’s only surviving tea clipper, and fastest ship of her time – now an award-winning visitor attraction in Greenwich. 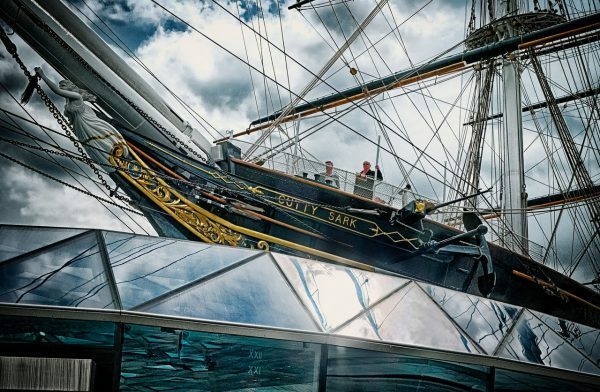 Cutty Sark is a quick and easy journey from central London. 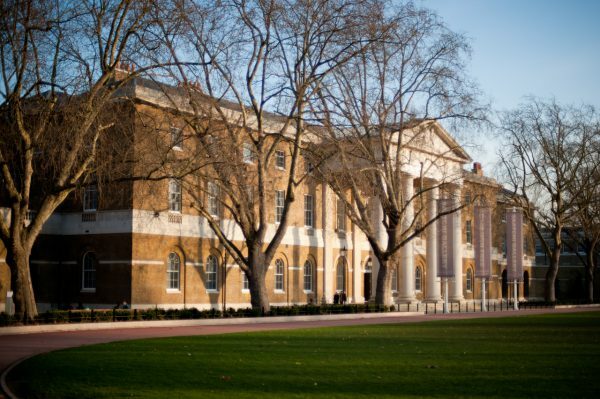 And while you’re here why not visit the Royal Observatory and National Maritime Museum – both within walking distance. The Museum is set in beautiful Greenwich Park and is part of the Maritime Greenwich World Heritage Site. Explore time and space at the Royal Observatory Greenwich and stand on the Meridian line at the home of the Greenwich Mean Time (GMT). Discover the site’s rich history, from its royal heritage to its awe-inspiring Peter Harrison Planetarium, all set within Greenwich’s beautiful park. Discover London’s castle – a secure fortress, royal palace, an armoury, infamous prison, a place of execution. Learn the stories that never got out – over the drawbridge and behind the castle walls lie unexpected tales of lost princes, WW1 spies, and daring escapes. If you’re enchanted with the history of the monarch, don’t miss the famous Crown Jewels exhibition. Next on your checklist should be White Tower, an iconic symbol of London’s heritage and one of the world’s most famous castle keeps. Lastly, snap that requisite photo of thefrom the quay and grab a triangle sandwich (the quintessential London lunch). One of our favorite attractions in central London but also one of the most crowded so do try to get here early! You can’t visit London without visiting Brick Lane. 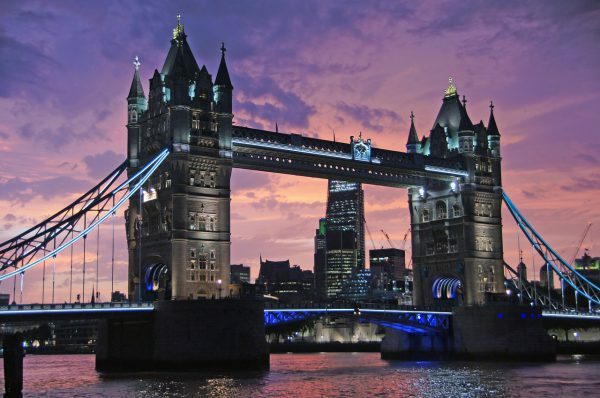 A microcosm of London’s shifting ethnic patterns, it is extremely popular with London’s edgy and artistic crowd, featuring markets, galleries, restaurants, and festivals throughout the year. Brick Lane has an extremely popular and quite eclectic Sunday market that is popular with locals, Londoners from other areas and visitors to the capital. 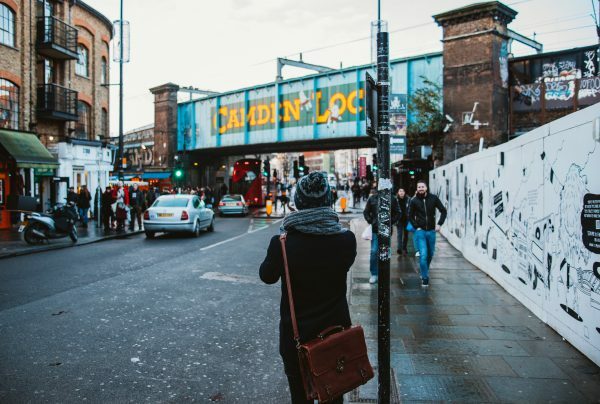 Famed for its many authentic curry restaurants, warehouse art exhibitions, vintage finds, bric-a-brac, cutting-edge designers, trendy clubs and bars – it’s everything that makes East London a hive of happiness. Most famous for its markets, Camden is a diverse neighborhood that has been home to a number of famous people over the centuries from Charles Dickens to Sigmund Freud to Amy Winehouse. Home to Regent’s Park and the London Zoo, Camden Market is great for finding unusual gifts, works of art, antiques, handmade clothes and jewellery, music memorabilia, objects from ages past and authentic food from far-flung locations – undoubtedly London’s most important nerve center of artisan creativity and trading. If you’re keen to get some retail therapy – and have room in your suitcase the market is open 364 days a year. It only closes on one day of the year and that’s Christmas Day. There’s a reason why so many films are set in Notting Hill – pastel pathways draped with wisteria. 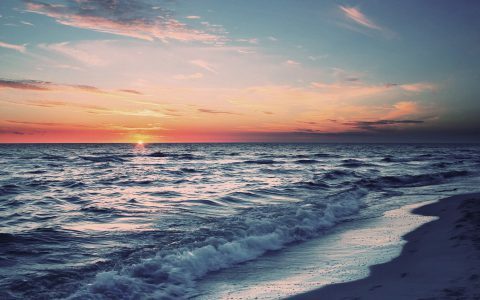 But it’s so much more than just the setting for a famous movie. 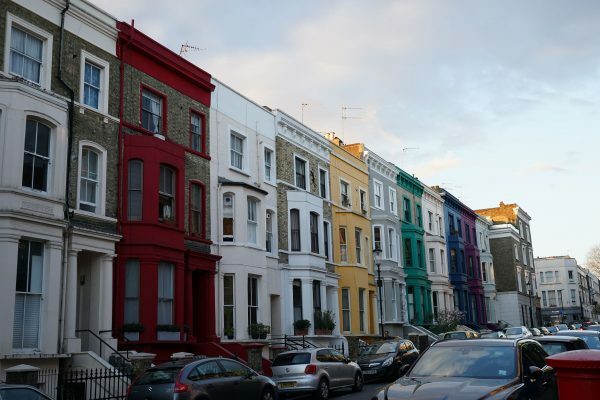 Among the tourists searching for Hugh Grant’s blue door, you can find the spirit of the real Notting Hill in independent bookshops, delicatessens and coffee shops, old curiosity shopping on the Portobello Road, street food and sashimi, indie flicks and cabaret kicks. 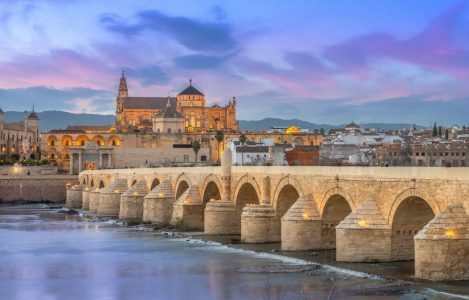 Host to Europe’s biggest street festival, countless thousands of people are attracted to its quirky backstreets and pretty gardens to experience a chili-infused hotpot of multiculturalism. Visit the home of champions at Stamford Bridge, indulge in unparalleled people watching, hit the shops along the King’s Road, hunt for antiques on the Lots Road, brunch with bottomless Bloody Marys and mimosas, enjoy cutting-edge theatre at The Royal Court Theatre, hear world-class music at the Cadogan Hall, take-in the inspiring art at the Saatchi Gallery, visit the world’s most famous flower show, the RHS Chelsea Flower Show – Play hard and shop harder at this stylish most colorful central London neighbourhood. Shaftesbury Avenue lies in the heart of the West End and starts in Piccadilly Circus and includes the boundary of Chinatown. 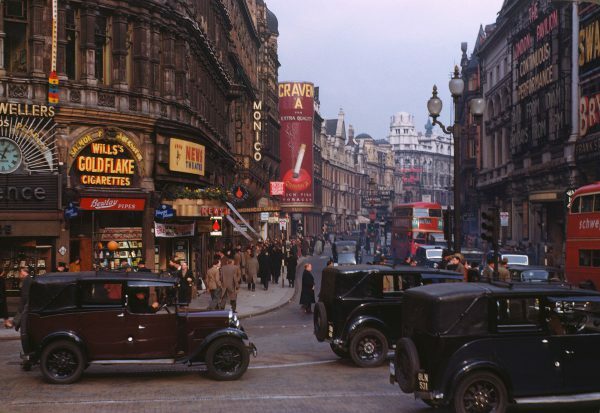 London’s Theatreland, centered on Shaftsbury Avenue, is famous worldwide; as are its pubs and restaurants. 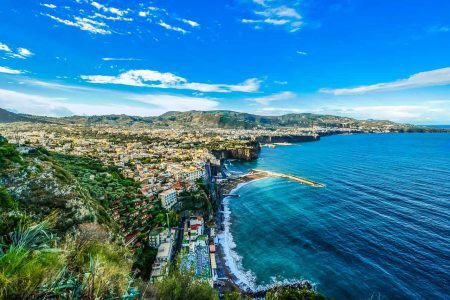 Lined with West End theatres, from long-standing shows that have been there for years to short-running plays, specialized food, and delicatessen shops, as well as restaurants offering international cuisine, you are sure to be impressed with all it has to offer. As Shaftesbury Avenue is so close to many of London’s top west end theatres, curtains go up around 7:30 pm. Enjoy an ice cream during an interval (intermission)—it’s a custom. If you find yourself with a few hours to spare in the afternoon, consider booking a last-minute show. 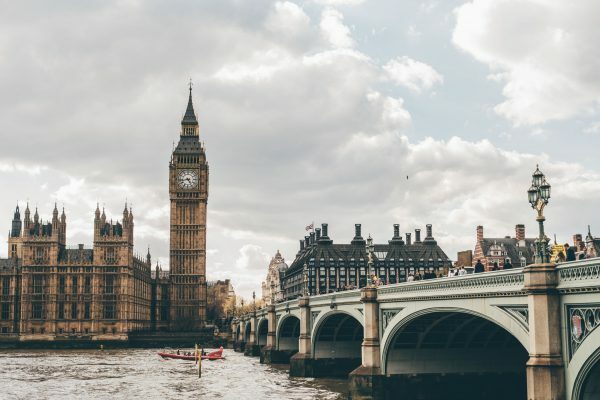 Whether you’re the type of business traveller who is looking for something a little swankier, London will dazzle you with its linen-heavy Michelin starred restaurants or if you just want to unplug after a long day of meetings, you might like to drop into a laid-back London boozer. However, if you are feeling more adventurous, London has a serious love-affair with street food. 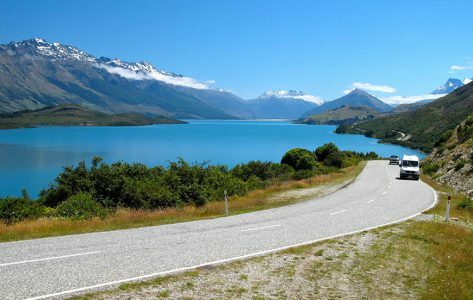 Nowhere in the world will you be so spoilt for choice with only one thing common amongst them – they are all darn delicious! 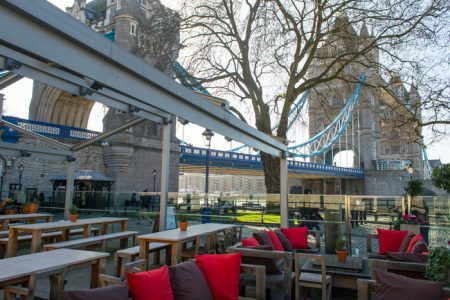 Overlooking the Thames on the historic Tower Wharf at the Tower of London, Perkin Reveller is a fantastic restaurant experience in the very heart of London. 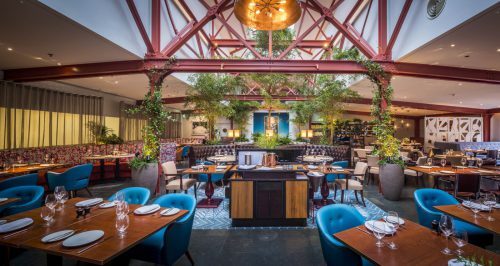 They serve delicious food made from the finest seasonal ingredients, and complemented with signature cocktails, craft beer, exceptional wines, and a marvellous selection of fine teas! There are two bars in Perkin Reveller; one handcrafted from an antique church pulpit and topped with beautiful zinc, the other covered in soft leather with a bar top of rich copper. Both serve a great range of locally brewed beers, carefully chosen wines, fantastic mixers and original cocktails. 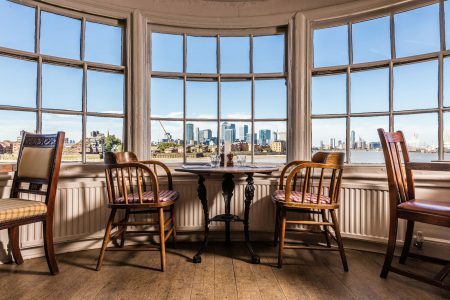 Spread over 3 floors with stunning views of Canary Wharf & the 02, The Cutty Sark is a beautiful riverside pub serving Great British food and local beers. Sat on the banks of the Thames at Ballast Quay, The Cutty Sark has welcomed guests for over two hundred years. Serving the highest quality British produce, accompanied by fine wines from around the world and great real ales, drinks by the river and watch the world go by, or indulge in a three-course meal whilst enjoying unparalleled views of South East London, on one of their three floors of the beautiful pub and restaurant. Located at Notting Hill Gate this hotel in Notting Hill, ULI offers a fresh, honest approach to Asian cuisine. Natural limed oak, soft tones of blue and contemporary art give the restaurant a clean and informal look, highlighted by a hanging garden of pendant lights. Their menu encompasses carefully selected dishes from Asia, all prepared using traditional Chinese, Thai, Malay and Singaporean disciplines. Come here for the soft-shell crab, aromatic duck and to rubberneck when founder Michael Lim serves free nightcaps to his regulars. As the newly installed resident of South Kensington’s iconic Michelin building, celebrated French chef Claude Bosi launches Claude Bosi at Bibendum with a ground-floor seafood and oyster bar and first-floor restaurant which is ‘ unashamedly fine dining’, with the chef’s signature contemporary and light-hearted flair. 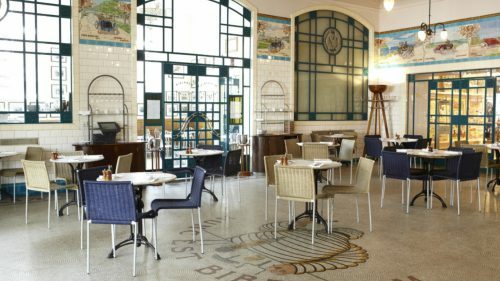 Bluebird Chelsea is a London landmark, a gleaming Art Deco icon right on the King’s Road. Made up of a chilled out Café & Courtyard on the ground floor and a more refined Restaurant & Bar on the first floor, it comes complete with its own Wine Cellar and Food Store too. The. cafe and courtyard offer a sanctuary from the bustle of the King’s Road and boasts something for everyone, from breakfast bites to alfresco cocktails. Enjoy an afternoon tea with scrumptious scones or indulge in pre-dinner drinks followed by European cuisine at its best. These are hot dogs like you’ve never had before. 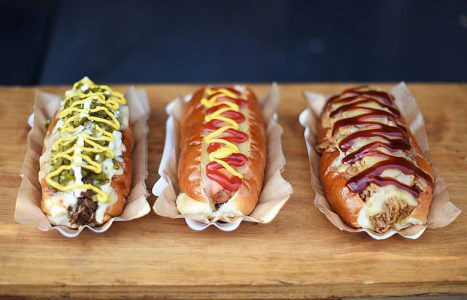 The American street food staple has been given a gourmet twist in the expert hands of hot dogspert, Joel. Joel’s delicious dog update features homemade ketchups and sauces (hi, slow roasted cherry tomato and vodka relish), handmade demo-brioche buns and prime, heritage-breed frankfurters. Don’t leave without lashing your superior frank in top-secret OMD! barbecue sauce. Preem, a Brick Lane restaurant of the highest order makes great Indian cuisine, lovingly prepared and served. 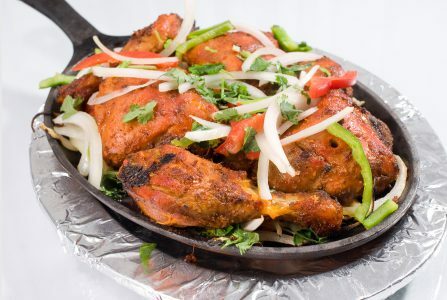 They have a wide selection of crowd-pleasers from butter chicken, lamb korma, prawn jalfrezi, to masala dosa, vegetable dansak and a great many other vegetarian dishes. 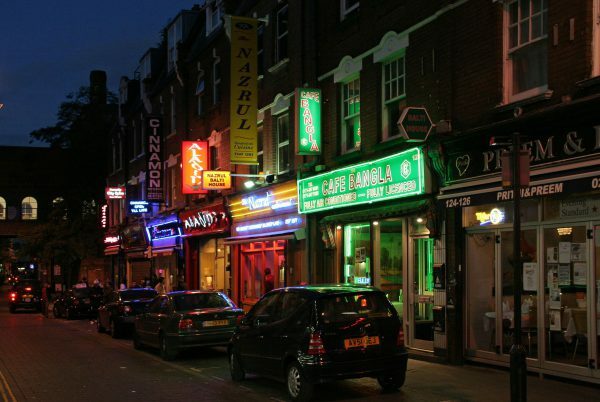 Being one the oldest curry houses, it is a must visit on your trip to Brick Lane. 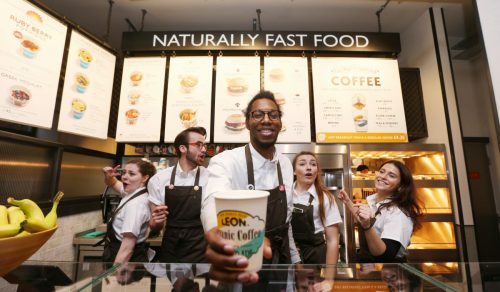 In the heart of London’s theatre district, Leon – Naturally Fast Food is all-singing. It is a stage for West End hopefuls, where the team prepares and serves Naturally Fast Food, and then takes the mic to sing a show tune. Their food is naturally full of flavour, full of goodness, and from people, they know and like. They often cook with seasonal ingredients, olive oil and fresh herbs and spices. Changing the Guard at Buckingham Palace is where immaculately turned out guards, precision drill and bands playing stirring music combine to create one of the most popular attractions in London. Also known as Guard Mounting, it takes place outside Buckingham Palace from 10.45am and lasts around 45 minutes, with the actual handover taking place at 11 am. The Notting Hill Carnival is an annual event that has taken place in London since 1966 on the streets of Notting Hill, in the Royal Borough of Kensington and Chelsea, each August over two days. It is led by members of the British West Indian community, and attracts around one million people annually, making it one of the world’s largest street festivals, and a significant event in Black British culture. The most colourful of all the annual events in London, main features include vivid national costumes and traditional flavorful foods including curried rice and peas, jerk chicken, fried plantains, and lots of rum punch. Discover how film-makers created fire, ice, and snow that never melts as we undergo a magical makeover for Hogwarts in the Snow. See the Harry Potter film series’ most iconic sets decorated for festive scenes. The Great Hall is transformed, the Gryffindor common room is dressed for the season and a blanket of filmmaking snow is meticulously applied to the majestic Hogwarts castle model. The award-winning Regent’s Park Open Air Theatre is a London landmark – a firm fixture of summer in the city, providing a cultural hub in the beautiful surroundings of a Royal Park. Established in 1932, the award-winning Regent’s Park Open Air Theatre is one of the largest theatres in London. Celebrated for its bold and dynamic productions (Jesus Christ Superstar, The Seagull, Porgy and Bess, The Crucible, Henry V), over 140,000 people visit the theatre each year during the 18-week season. See a Shakespeare play, family show or hit musical under summer skies in the center of the Royal Park. Greenwich+Docklands International Festival (GDIF) presents free outdoor arts across Greenwich and East London. The best of UK and international street performers bring extraordinary sights and sound to Greenwich, Tower Hamlets and beyond where you can experience everything from awesome, night-time spectaculars to exquisite outdoor dance performances, gravity-defying circus, puppets of all shapes and sizes and entertainment for everyone from toddlers to grandparents. The Boat Race is an annual contest between two rowing crews from Oxford and Cambridge Universities. With each team having a distinctive shade of blue (Oxford – dark blue and Cambridge – light blue), the Boat Race became a landmark in the British sporting history, attracting every year thousands of visitors that want to be part of this exciting event. With an enormous international audience, the Boat Race became the reason why many tourists choose April as the perfect time to visit London.